Strategies on Marketing a business for sale! Why is marketing essential to sell your business? Marketing can be defined in various ways, in the modern business world people use it to promote their business, product, services etc and believe or not, it is an important aspect of every business whether you are starting a business or closing it down. Marketing helps you and your prospects understand what you are looking for so that both, you and your buyer can equally benefit from the deal. Successful marketing is achieved with good planning and by understanding your own and your prospect’s needs. 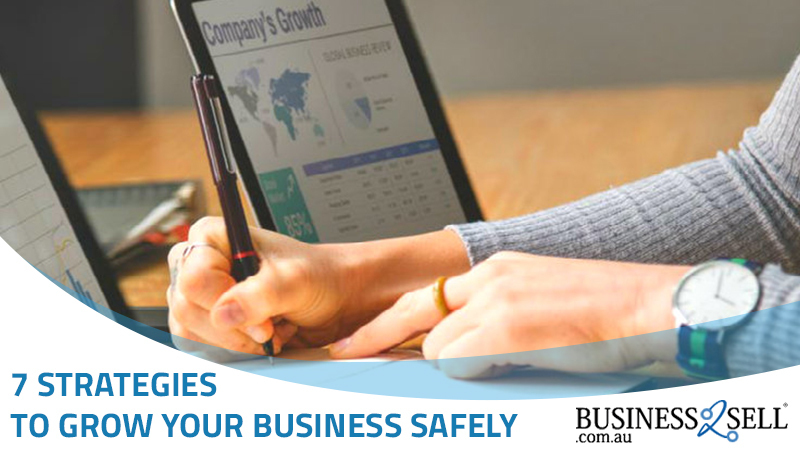 Selling a business can be a huge step for a business owner and more than taking this decision, it’s the strategies and planning that worries every businessmen. You get only one chance to sell your business and before you do that, it is important that you do everything right starting from planning how to sell to marketing your business to attract potential buyers. Can anyone buy your business or should the buyer possess specific qualifications, license or other legal credentials? Is your business for sale to an individual business owner or a group or partnership? Does your business require a specific number of staff to work for it? These are some basic questions that you must ask yourself and accordingly specify these aspects when marketing your business for sale. Putting up flyers, using a broker, online advertising etc won’t work for all or any kind of business. Each business has its own specifications and marketing strategies should be planned depending on the location, type of business, type of buyer you are looking for etc. Most people read through newspapers and magazines to know about latest deals and offers. By placing your ads in appropriate magazines and newspapers, you’re sure to get a few quality prospects. There are many benefits as well as drawbacks of selling your business through a broker but this is one of the most preferred marketing strategies to sell business. One of the strongest benefits of contracting a broker is that it is extremely time-saving. So if you a busy person who doesn’t have much time to invest in marketing then you should go for a broker who would do all the work for you and contact prospects . Connect with Unlimited Prospects: Websites such as Business2Sell will allow you to view and connect with unlimited prospects everyday which gives you a chance to talk to them and filter prospects as per your business requirement. Easy to Use: It is the most convenient way to connect with potential buyers as you can specify your business terms and requirements and suitable prospects will be connected through the website. You can make changes to your listing as and when required without having to deal with anyone. SEO Boost: Business2Sell markets your business in over 24* websites so your business can get more exposure. They offer several packages which entitles you for various benefits and features. No Commissions: Most websites including Business2Sell will offer you great services to market your business for sale under a standard package which includes various features. At any point they do not demand any commission or extra fee unlike local brokers. To check out their packages and features click HERE and choose the right package to sell your business today. You are in Control: The best part of marketing online is that you have control over the actions and you get unlimited help on websites that allow you to sell your business online. You can upload images and create an ad as per your liking and you receive instant emails and notifications on every connect so you can take the deal further. Business2Sell allows you to publish unlimited images for each business listing so that your buyers can view them and make a decision. Direct Contact: You don’t have to worry about dealing with a middle man as most of these websites will allow to your publish your contact information such as your email address and phone number so any interested buyer can directly get in touch with you. Open to All Business Types: It doesn’t matter what type of business you wish to sell, it could be a food business or a fashion business, online marketing websites will let you create an appropriate ad and suitable buyers will get in touch with you. We hope the above mentioned strategies will help you market your business for sale. Manish Khanna is a serial entrepreneur, philanthropist and genuine Australian success story. In a decade he has built an online empire unlike any other. He is currently the Managing Director of more than 10 individual companies. These include the flagship Business2Sell which operates internationally in 6 countries. The others include CommercialProperty2Sell, Million Dollar Mansions, Netvision, BCIC Pty Ltd and Better Franchise Group, to name a few. 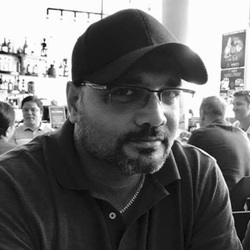 With more than 21 years’ experience developing web applications plus very successfully creating, managing and growing start-ups, he is forging ahead to turn more of his innovative ideas into future success stories. What is the Importance of Re-branding? Why Interests Increase and Decrease! What's the Effect? Gelatissimo are Holding 2 Very Important Information Seminar in Coffs Harbour and Rockhampton! Eyes Wide Open - Is It a Franchise or a License?